As you read this brief report, the facts will testify to themselves: God calls and His people respond. With worldly wisdom this simply is difficult to understand. But under the power of His Holy Spirit, God moves His people to do things that simply don’t make sense humanly speaking. When God calls His people, selfless service is rendered to our King for the advancement of His Kingdom. To embed on your site copy and paste the code in the box below. In 2016, a professor of ethnomusicology from the University of Colorado, Dr. Benjamin Teitelbaum, sought to discover what motives lie behind Christians who make a decision to serve in foreign lands as missionaries. At the outset of the project, he theorized that many go overseas as a means to escape the decadent North American culture. He asked Missio Nexus to collaborate with him to survey the North American mission community to test his thesis. This report is the result of those findings. As you read this brief report, the facts will testify to themselves: God calls and His people respond. With worldly wisdom, this simply is difficult to understand. But under the power of His Holy Spirit, God moves His people to do things that simply don’t make sense humanly speaking. When God calls His people, selfless service is rendered to our King for the advancement of His Kingdom. Through His leading, people seek to be faithful servants who provide cups of cold water and also proclaim Living Water in some of the most forgotten corners of this world. The Holy Spirit’s work in our lives can confirm with our spirit that we belong where we are serving. Language may still be elusive, food may still be new, culture may be nuanced and unfamiliar, but God can and will give us peace in our destination. Eighty-four percent of those surveyed felt that they have assimilated into the society where they are serving. Time is the equalizing factor. We cannot rush cultural adaptation. We must give it the time that it takes to see, hear, smell, learn and allow God to transform us so that we can love His people as if they are our people too. Ninety-six percent of participants agree that they are functioning well in the society where they are conducting missionary work. This is a very impressive statistic. Nearly all of the 186 cross-cultural workers who have spent an average of 18 years on the field feel that they are functioning well, Praise God! For many, new challenges are faced each day in cross-cultural service. Visa maintenance, language acquisition, health issues, obstacles to training, and limitations on proclamation are only a few of the areas that make service difficult. Many organizations have sought to increase on-field member care, to improve team structures, and to strengthen leadership and accountability for workers. But in the end, God’s Spirit sustains God’s people for His glory and proclamation. Pray for new workers to be raised up to extend the gospel to the unreached. Pray for new missionaries who just arrived on the field. Pray specifically for peace, protection and a deepening sense of passion and calling as they engage with language learning and ministry. Pray for missionaries who have been serving on the field for an extended time. Pray for renewal, strength, compassion and open doors for gospel proclamation. The representation of this data is copyrighted by Missio Nexus and the information within is used by permission. Missio Nexus grants users the right to reproduce this image digitally and in print for the purpose of educating and engaging audiences with the content. 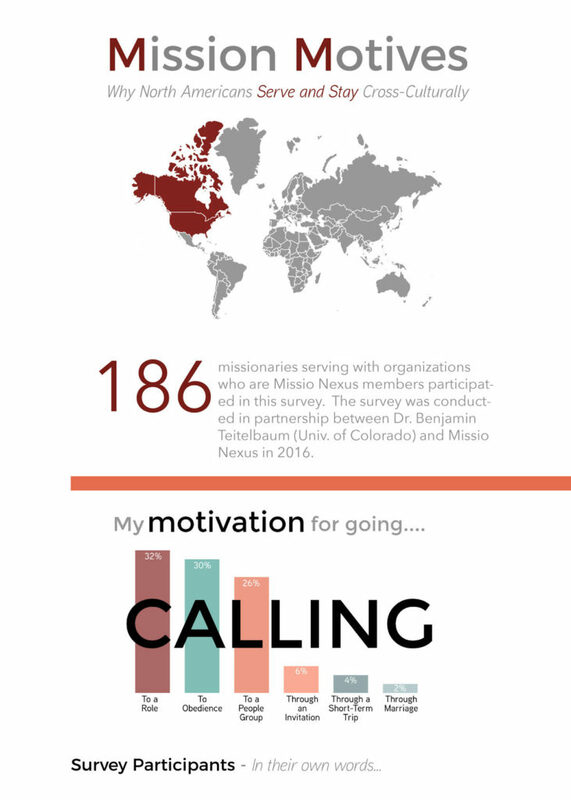 All use must retain the Missio Nexus branding and sponsorship bar located at the bottom of the infographic. 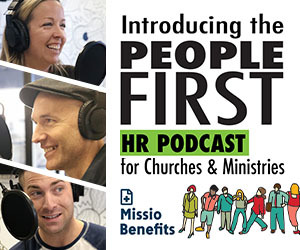 Any use of this image in a paid product or service requires permission from Missio Nexus. If you are interested in licensing this image for use in your product or service, please email info@missionexus.org.